As Fortune Feimster made her way to the stage at Rick Bronson's House of Comedy, a grandmother in the audience reminded her that the warm-up act had the flu and that she should wipe off the microphone before performing. 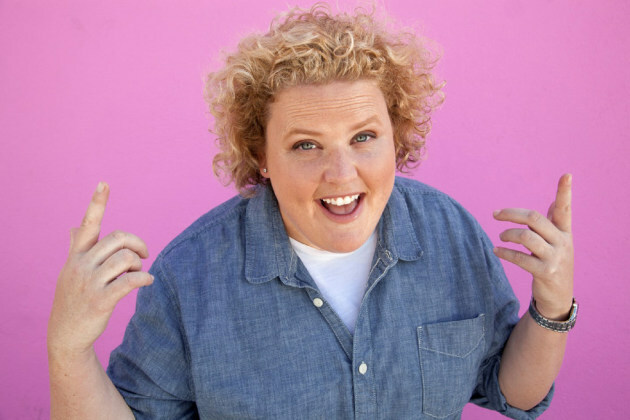 Feimster rewarded the fan for the tip -- and the rest of the enthusiastic crowd Thursday night -- with a free-wheeling set that solidified her place as one of comedy's rising stars. Not that all of Feimster's material was tailor-made for grandmas. The comic, best known as a member of Chelsea Handler's posse and for stealing scenes in network sitcoms, doesn't shy away from working blue, even leading the crowd in an improvised musical number about a certain sexual position. Much of the material may have sounded familiar to fans who saw Feimster open for Tig Notaro at the State Theatre in June, but she did test drive a new bit about shopping for vodka on a blind date. Feimster may be from North Carolina, but she seemed right at home in Minnesota, devoting much of her set to interacting with the audience, expressing delight over a Trump-supporting fan that was also a fellow lesbian. She also connected with her unabashed passion for tater tots, a routine reminiscent of Jim Gaffigan's take on Hot Pockets. It's a big weekend for comedy fans in the Twin Cities. In addition to Feimster performing at the Mall of America through Saturday, Chris Hardwick is holding court at Acme Comedy Co. His shows are currently sold out.